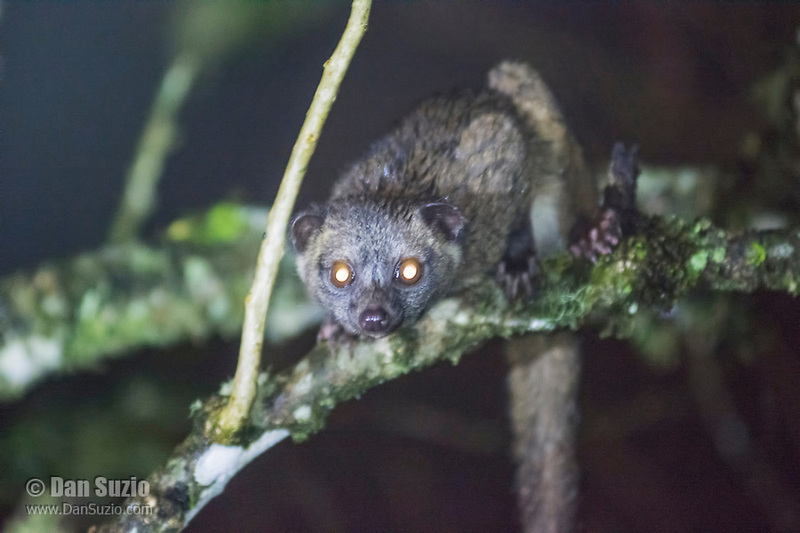 Olinguito, Bassaricyon neblina, a species whose discovery was announced in 2013. Olinguitos have existed in museum collections and zoos for decades, but were thought to be olingos (B. alleni or B. medius). DNA analysis was used to confirm that the olinguito is a separate species. Tandayapa Valley, Ecuador.